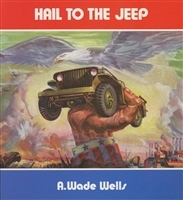 You'll find commercial titles on WWII and other military Jeeps here. If you've got a one you'd like to restore or keep running, be sure to check-out our Jeep Technical Manuals (TMs) for everything you need. Very nice history of the Jeep Well written and presented history of the WW2 jeep. 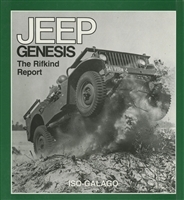 First edition - Historical survey from the early “pre-standardized” military jeeps to the present. 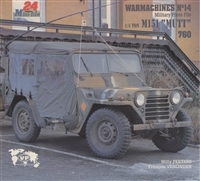 Historical survey from the early “pre-standardized” military jeeps to the present. 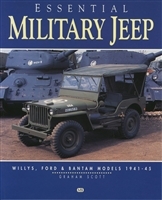 Jeep in Detail photo-guide covering M38A1 & M606A2 Jeep in Detail photo-manual covering Willy's MA & MB. 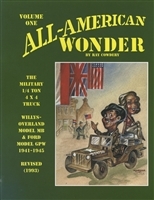 French book on the history of the Jeep from WW2 thru modern Cherokees Out of Print - While Supplies Last. The timeless classic by Yasuo Ohtsuka. New reprint of the timeless classic by Yasuo Ohtsuka. 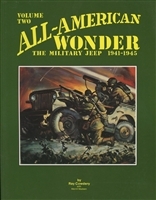 Short and sweet history of the WWII Jeep from 1941 through 1945 Jeeps in Detail photo-manual covering MA, MB, & GPW Out of Print - Less than 10 copies left... Excellent photo essay on the WW2 jeep in the Pacific Theatre.